The title of Speaking Business Multiplier was given to me by one of my speaking students. It was one thing for me to create success in my own speaking career. We tend to create success for ourselves as a matter of survival. Often those who do amazing things for themselves are not great teachers when it comes to transferring that success to others. But I have figured out some systems that have helped others to do what I have done and help many others get on that path. The student that called me by this title was able to take his business from a steady moderate income comparable to a hobby to a full time career making over 7 figures. I believe that you can too. Again I’ve seen it many times in the lives of my students and in other speakers around me. If you want to be successful in this business the first thing you need to do is start looking at it like a business. As I’ve had the chance over the last 10 years or so to speak along side some of the industries top names I have seen many similarities in their business practices. I have also seen the differences in the way they do many things that make their business thrive while others experience difficulty. I’ve worked with them and spent quite a bit of time with top speakers privately and behind the scenes. I can tell you where they invest their time and efforts to create results and most of what they do would surprise you. Why? Because you’re not doing it. Below are some of the core areas I believe need to be thought about and expanded on to create a balanced, sustainable and profitable speaking business. Do you have these elements in your speaking business? Are they all there ? Are there some that are missing? Do you have questions about how to make some of these elements better? Over the next while I’ll go into more detail on some of these activities and provide some practical ideas, concepts and strategies on how you can bring these things into your business and create more success. Lately I’ve had a lot of event organizers hire to me to participate in several upcoming events designed to help speakers grow their business. As many know I do a lot of speaker training and have been doing one on one coaching in this capacity for years. As I’ve done these events and met with speakers I’ve had a lot of people tell me that although they love the motivational articles and ideas that I share they would appreciate it if I’d share more tips and tools from speakers along the way. I am going to attempt to do that. While I own the domain and brand high profit Speaker I had something fun happen the other day and it kind of stuck. One of my students that has been in my one on one coaching for speakers had a meeting with me recently. They have experienced quite a bit of success. They have some really great content and with a little guidance from me they have been able to build a very profitable 6 figure speaking company in a relatively short period of time. In our last meeting he said, “You are the Speaking Business Multiplier.” I’d never heard that term before but I actually really thought it was cool. As I share these speaker tips and other materials I am going to adopt that title of Speaking Business Multiplier. I like it. It’s what I want to do for the speakers that work for me. It describes my mission perfectly. I want to clarify that’s not just about money in my mind though. It about multiplying everything that is good in your speaking business. I want o help you have more opportunities, more stages, more products sold, more students, more JV opportunities, more media, more people in you audience, more countries visited, more recognition, more unique content, more power more of everything!!!! Where does it stop? I don’t know but by bringing my over 10 years experience I hope to make some massive differences for people. I bought the domain the Speaking Business Multiplier so you will see that up soon and I will add tools there as it goes live. For those unfamiliar with my work here a little about me and what I teach taken from some of the information we share about our courses. If you are a speaker, coach or training and you want to take your business to the next level I don’t see many people out there teaching about the BUSINESS of speaking. Most teach about how to overcome fear of speaking publicly or how to “Rock” the stage. (While there’s probably value in the 50+ courses claiming to offer this – I don’t really know what that means.) After having a look around there really isn’t anyone who does what I do. If you really want to grow your speaking business we should meet! He is the author of 3 books in the influential Guerrilla Marketing series! 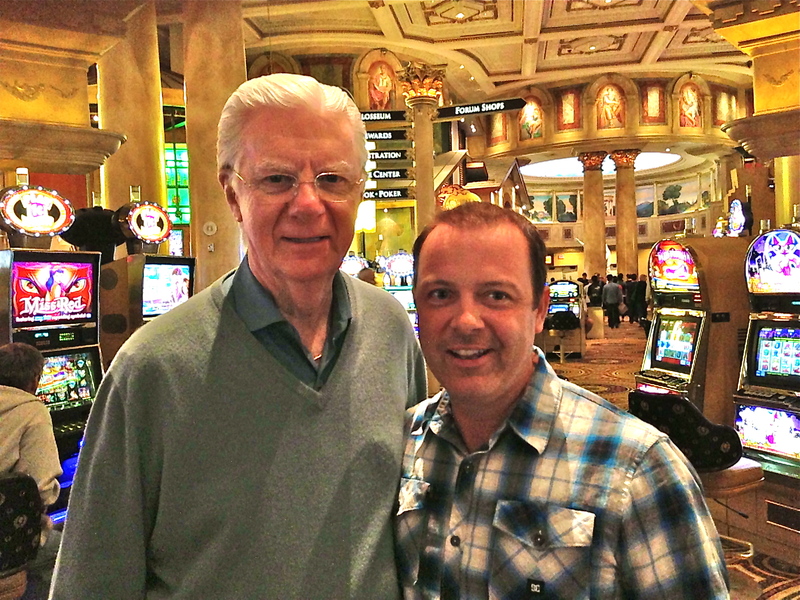 He is the creator of 3 of the top personal development movies of all time. And he can show you how to do similar things in your career. *Why MOST SPEAKERS STAY BROKE and what you can do to position yourself for success. *How to partner and Joint venture with some of the most influential speakers in the world today! Bob Proctor, Jack Canfield, Mark Victor Hansen, Joe Vitale, John Demartini, Marie Diamond, John Gray, Marci Shimoff, Bob Doyle, Morris Goodman, Raymond Aaron, Marshall Sylver, Loral Langemeier, Randy Gage, Mary Morrissey and others…. *How to become a regular featured expert on TV, radio and in the media. *How to develop presentations and products that people are lining up to have! At one of my movie premieres we had more than 6,000 people in attendance. Most speakers have never seen that many people at an event before! Imagine that those kinds of numbers would be interested to hear what you have to say! Douglas Vermeeren is not your ordinary filmmaker. Over the last decade he has directed and produced three of the most influential personal development movies. His first film The Opus came out in 2008 and featured several of the top personal development leaders to answer the question of how to take the vision of what you want for your life and build it into a workable plan and then create it as a reality in your life. The film came out hot on the heels of the groundbreaking movie The Secret and featured many of the same cast answering questions many were felt unanswered in The Secret. The Opus was translated into more than 23 languages worldwide and has been rated among the top 5 most influential personal development films of all time. His second film The Gratitude Experiment explored the relationship between the power of gratitude and tangible appearance of positive outcomes in reality. This film also featured many of the top thought leaders in personal development of today. The film attained theatrical release in many territories and secured Vermeeren a position as one of the top inspirational directors in the genre. 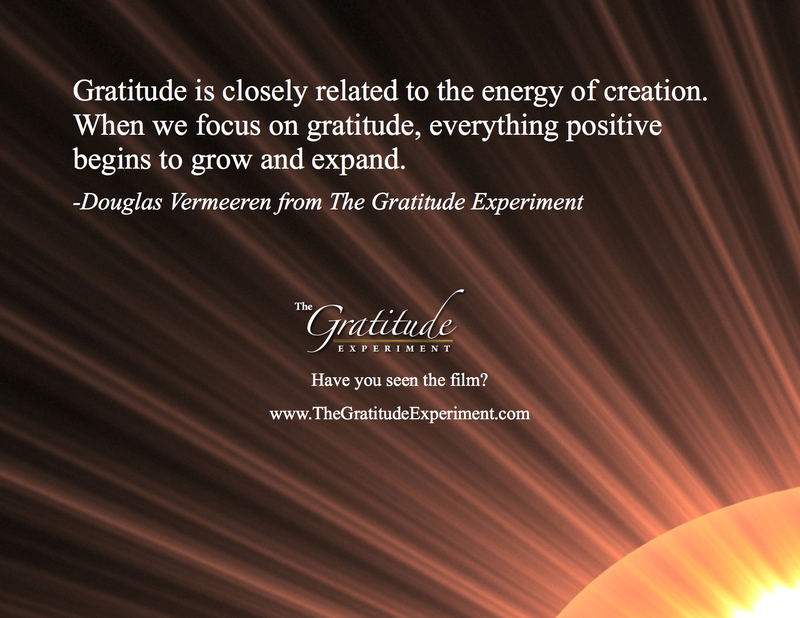 As a result of the success behind The Gratitude Experiment Vermeeren also became a regular in the media talking about the power of Gratitude and the direction of inspirational media. Recently his latest film The Treasure Map was released to great critical success. The film has had theatrical release in many locations including the United Kingdom. The film explores the abundance mindset and explores the exact actions that are used today to create wealth and abundance. Vermeeren has proven that in addition to creating powerful life changing films that he is indeed a trend setter in the content that is appearing in this genre. The Treasure Map is still making the rounds through many art house cinemas and special exclusive screenings through out the US, Canada, UK and Australia. While Vermeeren claims that he is far from complete in what he wants to create in this genre his next project is taking a gigantic leap into something very different. For his next film Vermeeren has announced that he will be going to camera on a narrative feature in May. That feature will be anything but inspirational. It will be a zombie movie. Fans and critics alike are stunned at this change in direction and are eagerly awaiting what the results will be. Are you a professional speaker? If you are then you understand some of the challenges that the speaking business can present. How can you find more stages to present on? How can you grow your brand and establish yourself as an expert? How can you create products, workshops and seminars that people will buy? And then there’s the question that seems to challenge eery speaker in the business – How can you sell it more successful from the stage? If these are questions that you’ve wondered about then you’ll be glad to hear about High Profit Speaker. Speakers who have been through the program are calling it their secret weapon. High Profit Speaker is a training organization focused on giving speakers the business tools they need to succeed. Unlike other speaker training program it does not focus exclusively on delivery from the stage or development of content. While it does help with those things it assumes that you already have a pretty good handle on your areas of expertise. What it focuses on are the things that most programs leave out – the business. High Profit Speaker helps speakers create effective business models, sales funnels, conversion systems, attract more media and PR, creating product that sells easily and then teaches you multiple effective systems for selling from the stage stress free and with ease. The founder of High Profit Speaker, Douglas Vermeeren has quite an impressive track record. As a speaker he was able to earn more than 1.6 Million dollars in his first 6 months as a speaker. He was able to create relationships with top speakers like Bob Proctor, Jack Canfield, Mark Victor Hansen, Joe Vitale, John Demartini, Marcie Shimoff, Bob Doyle, Marie Diamond, Morris Goodman, John Gray, Loral Langemiere, Marshall Sylver, Randy Gage, Raymond Aaron and many others to create 3 hit personal development films. (The Opus, The Gratitude Experiment and The Treasure Map.) One of which is now available in 23 languages worldwide through Random House. He has co-authored 3 books in the Guerrilla Marketing series with Jay Conrad Levinson and recently finished a book for the Dummies Series. He is also a sought after media expert and arguably the most featured personal development on Television today. He has shared the stage with nearly every major speaker in the world and has spoken on nearly every continent on the globe. Now why would you need to know all this? Because the majority of the trainings for High Profit Speaker are taught by Vermeeren himself. If you want to learn how to do the kinds of things that he has done in his speaking career then it makes sense to go to the source. As a resource for speakers the company High Profit Speaker has consistently been rated as the top resource available today. Vermeeren was also invited by the Canadian Association of Professional Speakers to present his tools at the CAPS national conference in Halifax his very first year as a member. This is astounding considering many seasoned speakers never receive such an invite. The speaking business is not an easy industry to be involved in. It is competitive and moves at a very fast pace. If you are looking to succeed it makes sense to find a partner who can help take you to highest levels in the shortest period time. If you are ready to become a speaker with a thriving successful business then you need this secret weapon. If you are ready to take your career to the next level then look no further than High Profit Speaker. 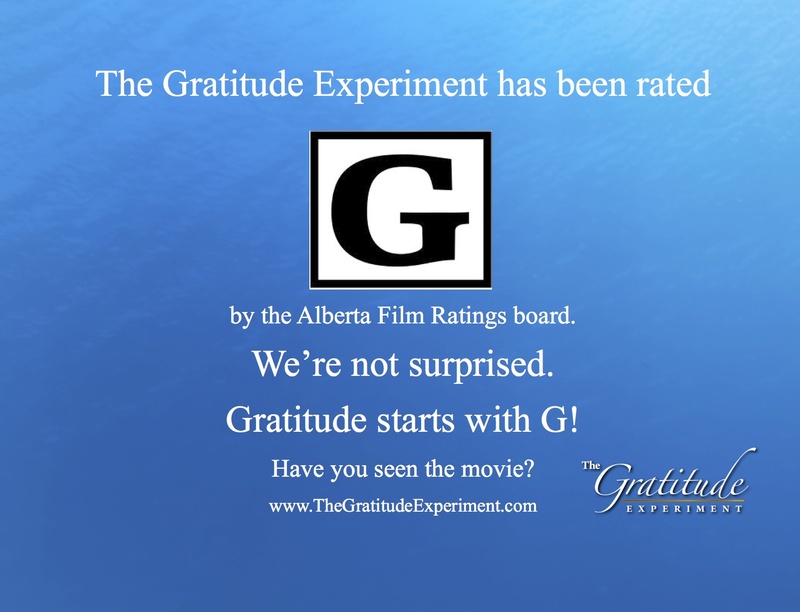 The Gratitude Experiment has been rated!